Professor Robert Hoell took his Broadcast News Writing & Reporting class to the PIX 11 studios in New York City on December 3, 2015. 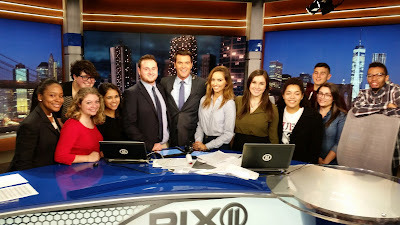 Professor Hoell is a PIX 11 news reporter and organized this trip so his students could get a behind the scenes look at a news studio and talk to professionals in the industry. The Pix 11 News Director met with students as soon as they walked through the doors. She answered many questions and gave advice as to how students should take advantage of their university's resources. The students also met with several other people, including news reporters and the station's sports director, throughout the day. From there, they went down to the "dungeon" where all of the magic happens. The students spent time in the news and control rooms and received some great advice from the anchors. The day ended with a live viewing of the newscast from the control room, which is certainly not something everyone at this stage in their life can say that they have done! 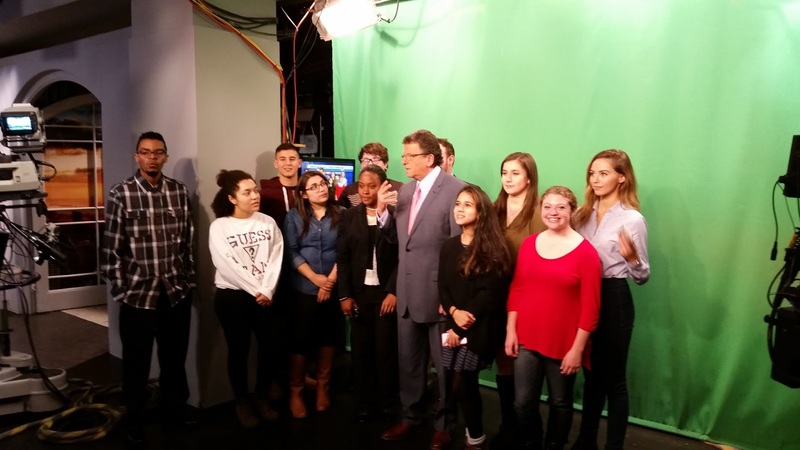 This was a great experience for Hofstra students, as they were able to witness firsthand what a television studio does day in and day out.